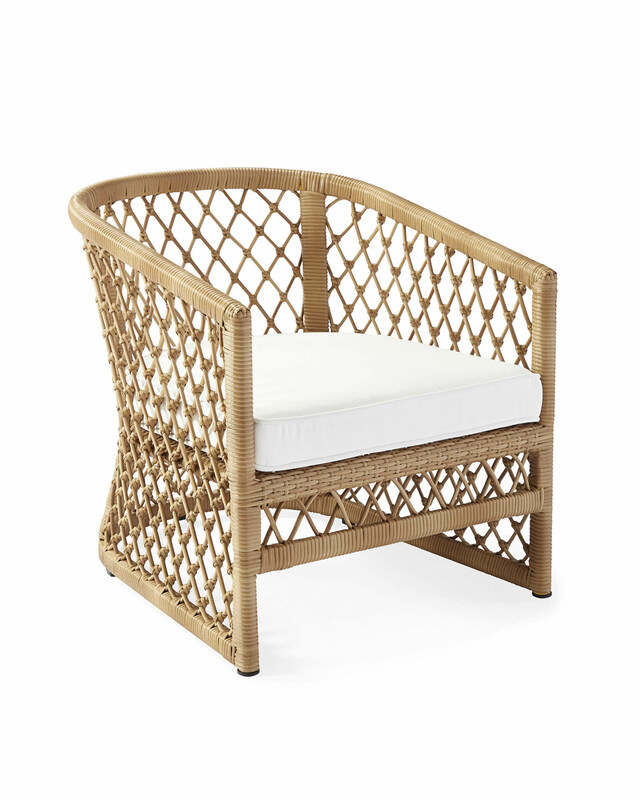 Capistrano Outdoor Lounge Chair - DuneCapistrano Outdoor Lounge Chair - Dune, alt="Capistrano Outdoor Lounge Chair - Dune, "
Print Our inspiration? 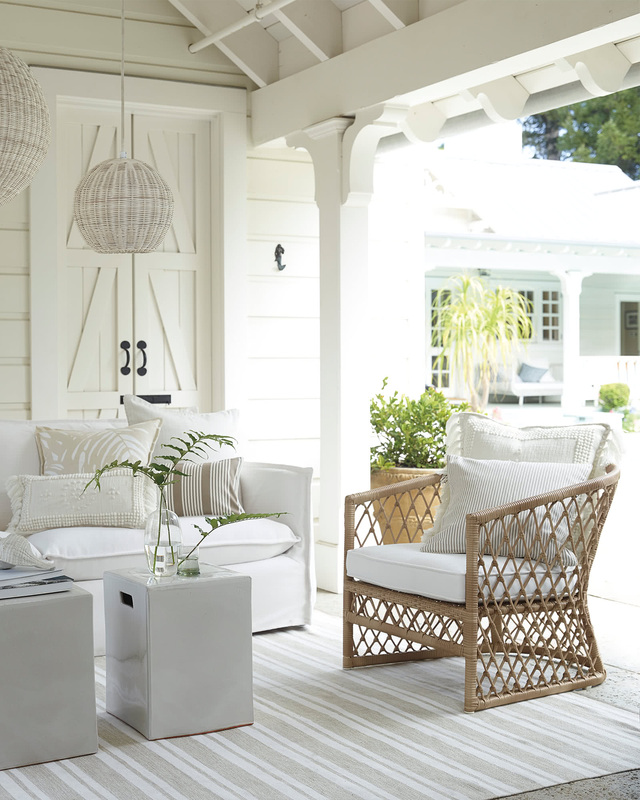 The relaxed look of rattan and the beauty of our very own Avalon Collection. Our twist? 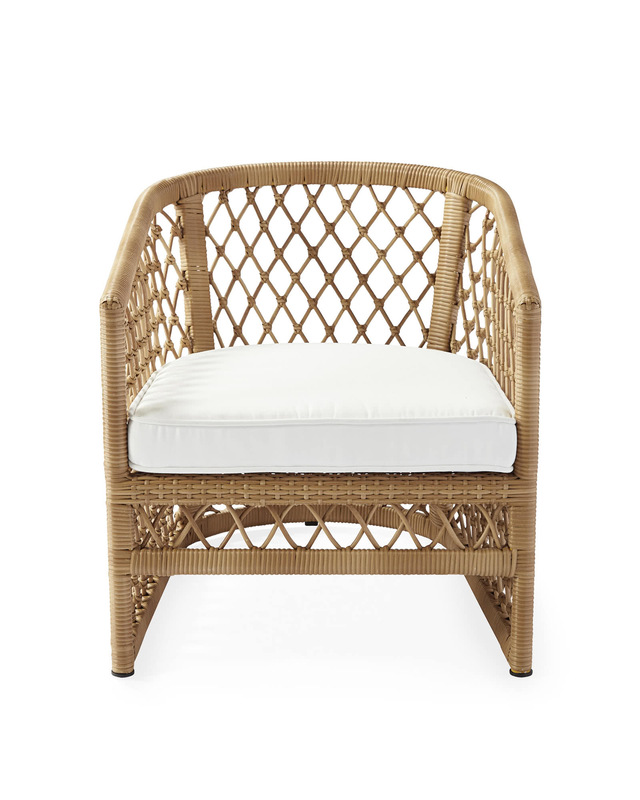 Hand-wrapped resin, which provides the same amazing texture we’ve always loved about rattan furniture, while being perfectly weather-friendly. 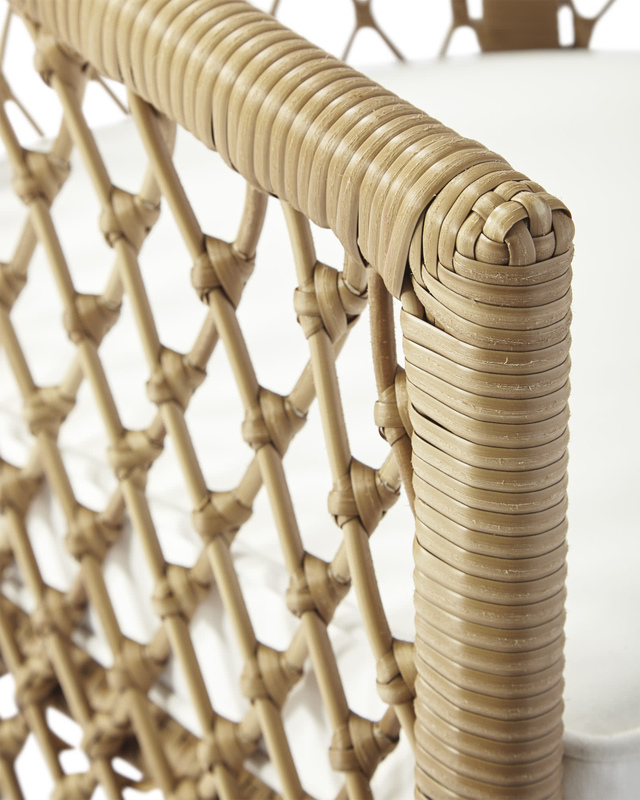 To capture rattan’s natural warmth, we developed an exclusive finish. A subtle lean lends grace to the silhouette. 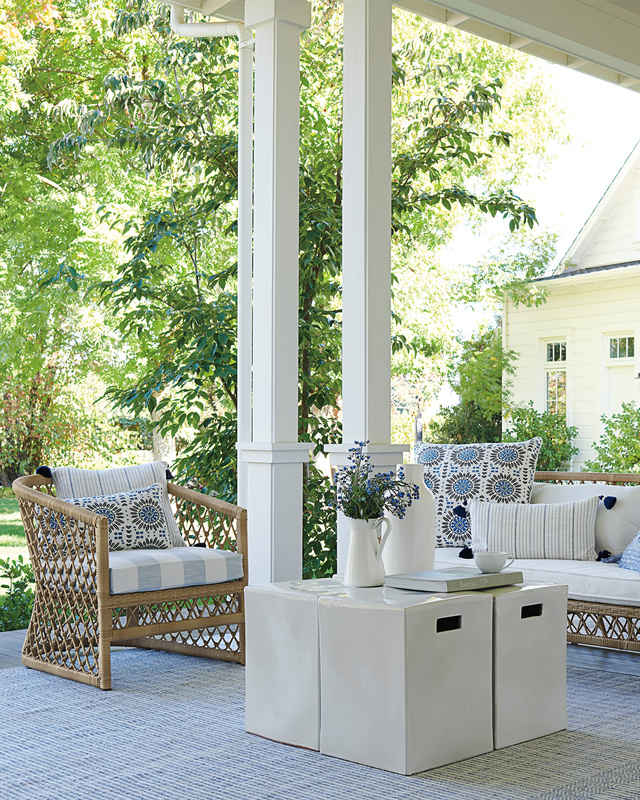 The seat cushion comes in a range of fabrics from neutrals to patterns so you can let your style shine. 28”W x 32”D x 30”H overall. Cushion: 24"W x 26"D x 2"H.